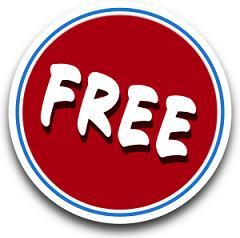 June 2012 | Free Pc to Phone Calls, Free Voip Calls to India International ! I am pretty sure that you are aware of Skype. It's the world largest voip provider. Many people which includes many of our blog readers use Skype for making video calls. Skype is a very popular voip application for making voice and video calls. The good thing is that it is available for almost all devices like PC, Android Mobiles, iPhone, iPad, Android Tablets etc. However that does not mean, Skype is the only good video calling application. Oovoo is another very popular voip application used by many for making video calls. It also offers application for all the platforms. I am also a regular user of Oovoo. 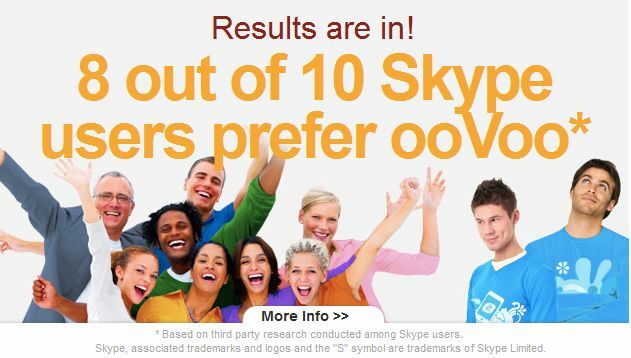 Since ooVoo has gained so much popularity, it is giving tough competition to Skype. Many are calling it as Skype killer and it is being rated as best Skype Alternative for voice and video calling. So, we thought to have a one on one comparison of Skype Vs Oovoo. Though both of them are offering video and voice calls, still both of them have many different features. 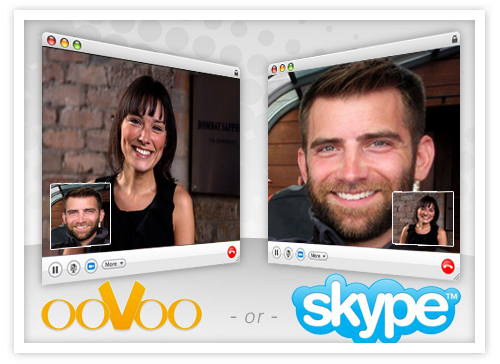 You will only know the difference when you try both : Skype and OoVoo. ooVoo is certainly one good Skype alternative. Skype : Skype allows calls only to other Skype users. If you have Skype however your friend does not have Skype app then you won't be able to call him. OoVoo : ooVoo allows to make calls to your friends who have not downloaded the Oovoo app. This is possible from their web browser with the Web Video Calling feature. This is one great feature, because many times you are traveling, or at a public place, using office laptop, friend's computer where you cannot download the application. Skype : Skype allows video calls from Facebook as well. That is, you can make calls to all of your Skype or Facebook contacts. A great feature by Skype. ooVoo : ooVoo does not have Facebook integration! Skype : If you are in US, then you must be aware of Skype hotspots, allowing you to get online anywhere there’s a hotspot using Skype credits, paying only what you use. ooVoo : Does not offer such hotspots. ooVoo : allows to embed video on your blog, websites or facebook. That is, it allows video recording which you can upload to youtube or any other site. Skype : I guess Skype does not allow any video recording feature. ooVoo : It is the best software for video conferencing. It allows twelve-way video chatting. This is a ideal software for business people. Skype : Though Skype offers video conference with multiple people but the thing is that it is a premium service and you will have to shell out money to use it. However you can voice chat with upto 25 people for free. Skype can be used on a PC, android, tablet. You can install Skype on your mobile phone, laptop or on TV as well. You can make video calls direct from contact list. For TVs, you can purchase a Skype-ready television (Samsung TV are also providing this feature). Skype-to-Skype calling is free, but you can call anywhere in the world on Skype and pay from 1.2 cents a minute (via credit or subscription). ooVoo is also available for your computer, mobile phone, or tablet. The app is very easy to use, the best part being web based video calling. The only concern is calling plans which ooVoo offers. ooVoo also offers app for Mac. Video Call Quality : I have tried both the software and video calling experience was equally great on both of them. It would be difficult to rate one higher on another based on call quality. Skype and ooVoo are both equally great with many unique features. ooVoo is preferable only if you're using group video chat. If you plan to video chat one-on-one or group chat without video, Skype is superior. 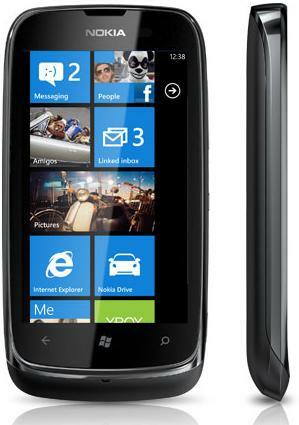 With the smartphones getting popular, making SIP calls from mobile phone is very easy. We have reviewed so many different voip application which allows you to make SIP calls on your mobile. Even if you do not have a smartphone, you can still make free sip calls using the sip client available for PC. The famous SIP client for PC as well as with a smartphone app is Nimbuzz. Well if you know how to make SIP calls, then we have a offer for you. Rather this is a offer by SIPMee. SIPMee is a voip provider or a SIP provider with good infrastructure to provide SIP calls. SIPMee offers cheap international calls with any SIP client. The calling rates of SIPMee are quite competitive and the best part is that they are offering free trial credit worth $0.5 to try their service. You can use this free trial credit by SIPmee to make free international calls. This credit is worth approx 30 minutes to many countries like China, USA, Canada etc. For calls to India, the calling credit will lasts for about 15 minutes. Lets first check SIPMee calling rates before we discuss how to get free credit from SIPMee and make free SIP calls. To check calling rates to other destinations, click here. Click this link and sign up or register with SIPMee. After the signup, you will get the message "Your account has been created and an activation link has been sent to the e-mail address you entered. Note that you must activate the account by clicking on the activation link when you get the e-mail before you can login." Check your mail for details from SIPMee. You will get a vefication or activation link in the mail. Just verify the account. After the verification, you can login into your account at http://login.sipmee.com:8080/ucms/ ! Just enter your username and password. Now click on SIP Profiles --> Profile Settings. You will see the SIP Username and SIP Password. Configure any SIP client on your mobile or PC using these settings. If you face any problems in making free sip calls, then please let us know by posting a comment. If you have iPhone/iPad/iOS device, just search for "SIP" in the apple store. You will find many SIP clients for iPhone. You can try Fring or Nimbuzz. For Android users, you can try SIPdroid for making SIP Calls. I personally use that app and it work great on my Samsung Galaxy! If you don't have smartphone, then you can try installing Nimbuzz on your PC itself for making SIP calls. Nimbuzz is a good app for making free sip calls. So just try SIPMee and enjoy free calls! Few months back, Maaii (a mobile voip provider) launched its iPhone application. It was a great hit among all, as Maaii offered free 100 minutes daily. Soon the number of users grew in large number and people started asking for Maaii android application. Well now the wait is over, as Maaii has launched its android application as well. In this post, we will look at the latest launch : Maaii for Android! However as the number of users have increased a lot, Maaii is now offering free 100 minutes weekly instead of a daily offer. If you are having an android phone, then Maaii is a must have application as using the Maaii android application, one can make free calls and save money on phone bills. Please note that Maaii is a multi platform application, in simple terms : you can make free calls to other Maaii users using it on android or iPhone. And for calls on other mobile (non Maaii users), it is offering free 100 minutes weekly. With the launch of android application, Maaii now works on iPhone, iPad, iPod Touch and Android mobiles and tablets. Using Maaii on your android mobile is very simple, and all it requires is internet connection. Maaii works on wifi and 3G both for making calls and sending text messages. Please note that your data plan applies (check with your mobile carrier (3G) about the data charges. If you experience bad voice quality then check your internet connection. Slow internet connection can give problems. If you are having an iPhone, then please check our Maaii for iPhone post and start using Maaii on your iPhone. Its a must have app for iPhone as well. Please note that currently the Maaii application for android mobile is in beta phase. Lets check details about Maaii Android app! Free 100 Minutes Weekly : Make free international calls to mobiles and landlines in about 36 countries. 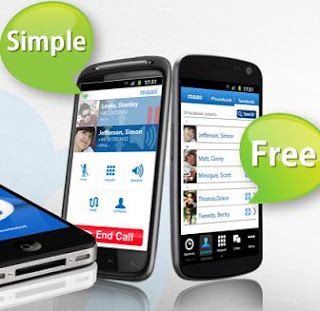 Make free calls to other Maaii users using it on iPhone or Android. You can send free sms to other Maaii users. Register maaii with your mobile number. It's that simple. Great voice quality with Maaii. Chat with your Facebook contacts. Stay connected to anyone at any time by calling or messaging with the ultimate app for iPhone and Android. Manage and sync your phone contacts and Facebook friends using a single app – super easy, super simple communications! Ping service with Maaii : Get notified about calls and sms. Smart Keypad : Intelligent-dial keypad for easy contact search. Please note that all Maaii users will receive 100 free minutes to call landline and mobile numbers in selected destinations. It is basically free credit worth $1.9 (you will get free $1.9 credit weekly from Maaii). This is what mentioned on Maaii website : "We are now testing, but you can get involved! We've setup a closed community of beta testers and still have a few slots available. Request an invite to join our group and be one of the first to use maaii on Android". Download Maaii on your Android Mobile. Search it in the android market or Google Play! Create an account with Maaii. Maaii asks for your phone number. It will send a verification sms. Maaii account balance will be $1.9, which allows you to make up to 100 free international calls to the world. Please note that it can take few hours before the credit is reflected in your account. Weekly update of balance will take place and your credit will again show it to $1.9! US$1.90 (equivalent to 100 free minutes) will be credited to your maaii account for calling to the selected 36 destinations (“Free Minutes Promotion”). Please note that India is not included in this free calling countries lists. However you will still be able to make calls to India, its just that the call duration will be less. Calls to India will lasts about 10 minutes. The provisioning app is a simple 3 step process to see if your device is eligible to be part of the maaii android beta test. Make sure you have a network connection available on your phone. In order to properly install the .apk file pack and begin using the maaii android beta client there are few steps to remember. After downloading the beta client go to your phones Settings > Application Settings > Unknown Sources (enable) – This will allow your phone to install third party non-market applications. Then find the .apk file in your download folder and select “install”. After installing and launching the application, follow the steps as prompted by the maaii beta client to setup your account and start making calls and chat!